Traffic is everything of a blog. Bloggers working hard to provide quality information and want earn some money by this way and that's why it's essential to drive traffic on a blog. Traffic is the heart of a blog or website. Without traffic it's really meaning less. A website should be expert on internet marketing. As a internet marketer, I always think about the combination of SEO, SMM and EM. Search engine traffics should be the main target but Social media marketing is very effective cause, these traffics try to visit you more times. We would like to say effective social media marketing can make plenty of regular visitor. Though Email marketing ( EM ) is not most essential for Google adsense or any PPC publisher but for affiliate marketer, without Email marketing it's really tough to sell more product. If you have a plan to promote your site within a very short time, that it's better to use Google adwords or Facebook advertising program. Whatever it, today I will share some usual but effective way to get huge free traffic for online. SEO : Search engine optimization is the 1st job for bloggers to promote a blog. Cause a large amount of traffic search your blogs article lots of time at Google, yahoo, bing and so. As a blogger, I suggest you to make your Page Rank at least 5 for professional blogging. If you have 5,000 article and you page rank will 5, than you can get approximately 25,000+ traffic from search engine. Though it have lots of condition but I willingly tell that's why this data can help you to reach on you target. For this step, need to submit website in search engine, create a sitemap and link building. Be careful about dofollow and relevant backlink. Blog commenting, guest posting, forum posting, directory submission and social bookmarking is enough for your SEO but try to build a large amount of them. SMM : Day by day social media becoming a part of our life and a big tread for search engine. People becoming gather most of the time on Social networking sites like Facebook, twitter, pinterest and so. Try to target traffic for your site. In Bangladesh, 99% people choose Facebook as there best social media and if you service or blog relevant to Bangladesh than target Facebook for you marketing. 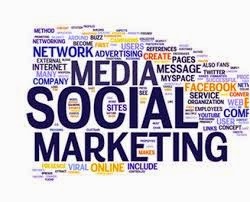 Social media marketing is an easy task but it will effective when I can drive real traffic from social media. Actually, Facebook like manage is the 1st condition of proper social media marketing. It also necessary to update quality content of Facebook pages regularly. Same condition for Twitter, Google Plus and other social sites. Drive more follower and get more traffic to your blog. If your page have 10K follower, it's natural that you can get 1K traffic to your website for every content. EM : No one can't imagine good sale without email marketing. Email marketing is the key of Affiliate marketing no doubt. Though it's not more essential for PPC publishers but it's effect for any types of website / blog. For email marketing, it's necessary to create a large list of active email and use paid email marketing software which help you to send lot of email within some click.